Car design evolves; greatness is constant. When the editors of AUTOMOBILE proposed that I name the 25 greatest car designers of all time, it seemed like a rather simple task. But after the first few obvious names, it became apparent that selecting just a couple dozen people from the thousands who have practiced the craft over the past hundred-plus years was impossible. Bear in mind that few of them are or were individual practitioners. For the most part, when you name chief designers, you are in fact referring to quite large teams of talented and skilled people, many of whom worked at various times for two or more of the major groups. So this is not—cannot be—an exhaustive list. Rather it names designers whose work was highly influential on the industry or has been highly impressive to me personally. I learned from all of them, and I have had the fortune to encounter many of them during my 60-plus years in automobile design. 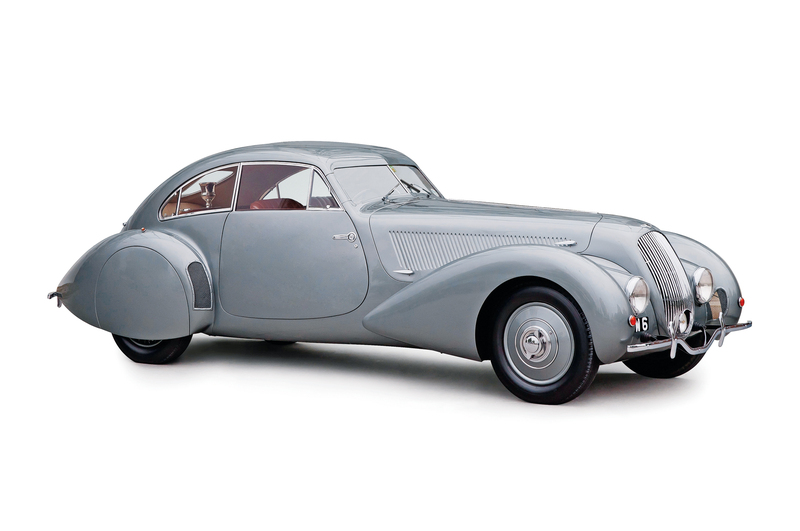 Car design before World War II was steeped in French culture. Designers all over the world, including Americans like Howard “Dutch” Darrin, benefited from the Parisian ambience. Photography by Michael Furman, courtesy of the Mullin Automotive Museum. He pioneered integration of scientific aerodynamic research into beautiful designs. A dentist by education, Paulin created several designs on Peugeot chassis, including a dramatic four-door sedan with a central tailfin. 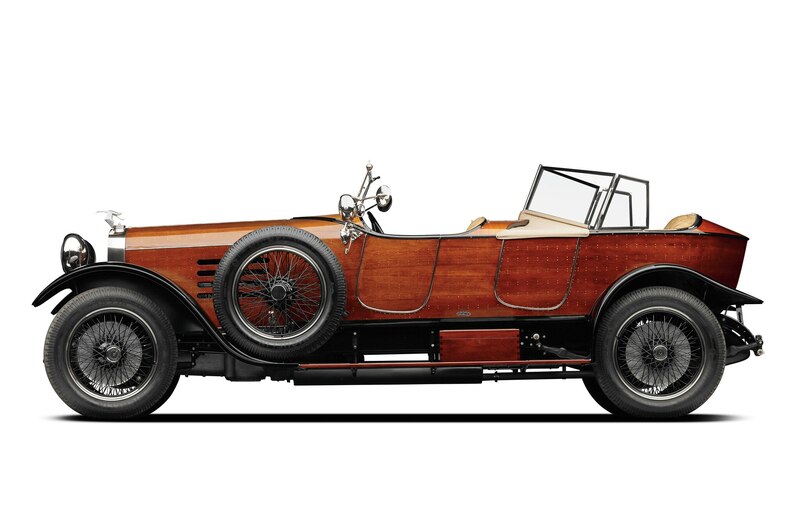 He created the “Embiricos” Bentley that ran several times in the 24 Hours of Le Mans before and after World War II. His career was cut short when the Nazis executed him for his work in the French resistance. 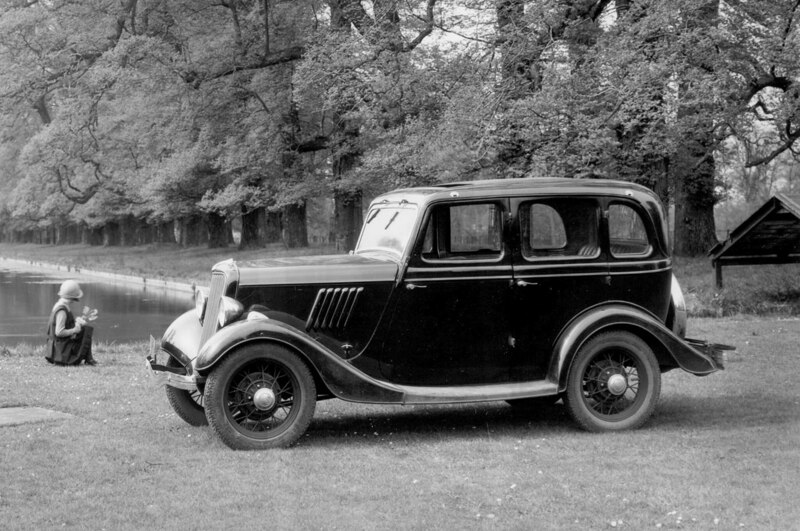 Car design changed from being an individual artisan’s craft to an industrial function at a fixed point: June 23, 1927. That was when chairman Alfred P. Sloan Jr. hired Hollywood custom car builder Harley J. Earl to create the General Motors Art and Colour department. GM was first, but every car manufacturing company today, every brand, has in-house design capability, altogether employing thousands who can properly call themselves “car designers.” Over the decades, tools and methods have changed, but the premise remains the same as Sloan and Earl had concluded: A company can sell more cars if it makes them better-looking. Earl was the first of all of today’s corporate design leaders and by far the most important. As head of General Motors design from 1927 to 1958, he was responsible for the shapes of about 55 million cars. He also found, hired, and fired many design leaders during his three-decade GM career. Earl was a great assimilator of design ideas from European sources and from the many superb designers who worked for him. 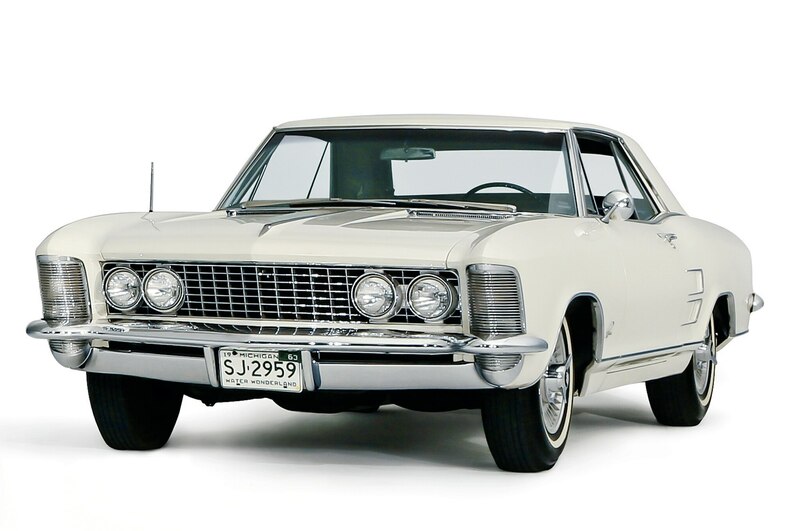 A great many of the key names in American car design were employed once or more by Earl’s Art and Colour department or his later Styling Staff. Photography by Patrick M. Hoey. An excellent artist, Exner entered the automobile business at GM in 1934, becoming head of the Pontiac studio. Recruited from GM, where Earl urged him to stay, he worked for Raymond Loewy on the Studebaker account. He then became a Studebaker employee before moving to Chrysler, where he became its first design vice president. He worked with Carrozzeria Ghia to make show cars for far less cost than building them in Michigan. His career was cut short by a heart attack, but he continued, with his son, as a consultant to Chrysler and Ghia. Buehrig worked for Harley Earl twice in the 1930s and realized the first expressions of his revolutionary styling ideas in a “design contest” model done within GM—where it was not remotely appreciated. 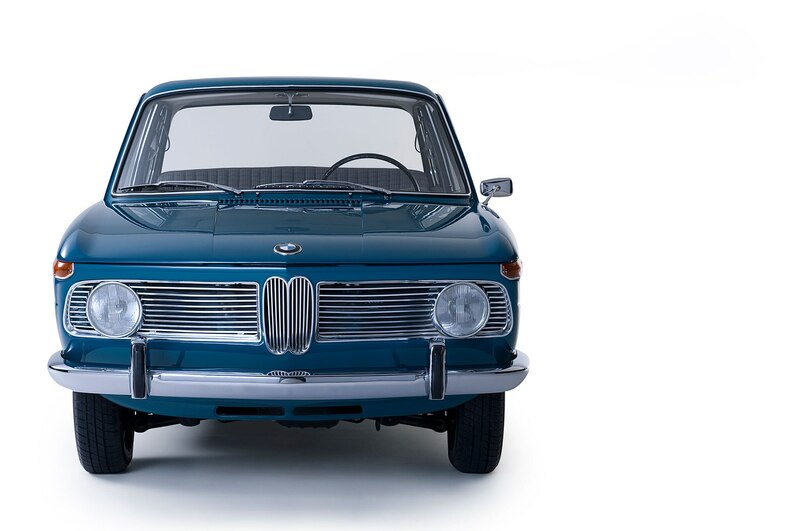 With his mid-’30s Cords, Buehrig shattered half a century of car-design practice, making the frontal air inlet horizontal rather than a vertical indication of the radiator behind the grille. 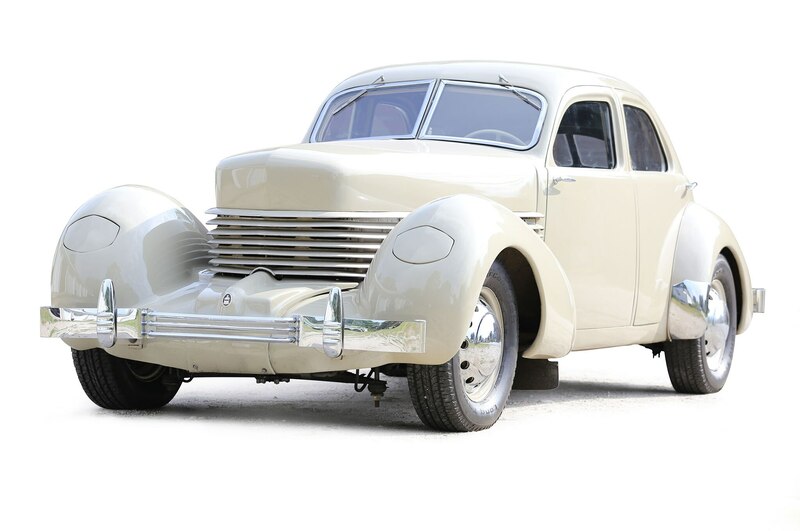 Many other manufacturers adopted elements of the Buehrig Cord body design, including the hidden gas cap, the lack of moldings at the window sills, and the lack of running boards. He also worked for Auburn, Duesenberg, Budd, and Ford. Another GM graduate, the first Ford chief stylist, he created the “look” of the ’30s with his inclined-grille British Model Y, subsequently applied to American Fords and to the Citroën Traction Avant. Like many designers, Teague trained at Art Center College of Design and began his automotive career at GM. But he returned to his native California in 1951 as an illustrator. Told that he could have the chief stylist’s job at Packard, he returned to Detroit, staying with Packard until it collapsed. He moved to Chrysler until a political struggle, at which point he joined American Motors, where he became design VP after three years. 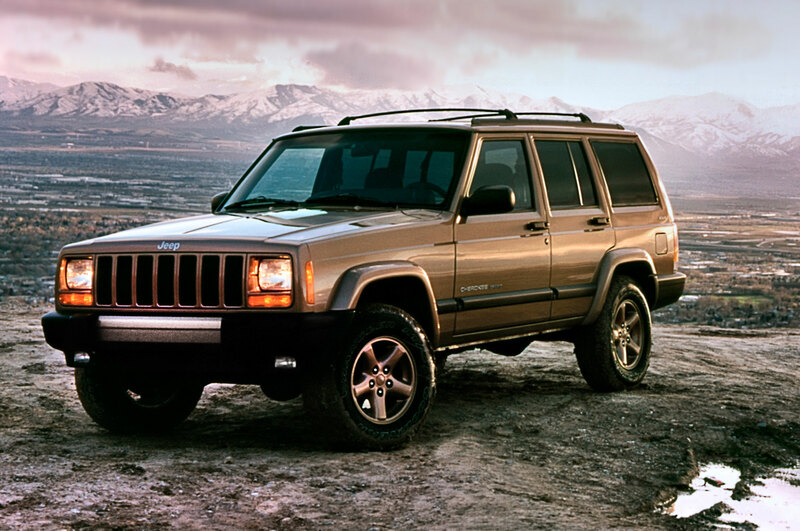 He stayed until retirement, in the process authoring the best compact-SUV design, the 1984-2001 Jeep XJ Cherokee/Wagoneer. America led the world in terms of production design from the 1930s on, but design idea leadership was clearly European and, more often than not, Italian. Savonuzzi, a trained engineer with a fine eye for line, essentially established the “Italian line” in the postwar period with his Cisitalia coupes, featuring a hood line below the front fender peaks. 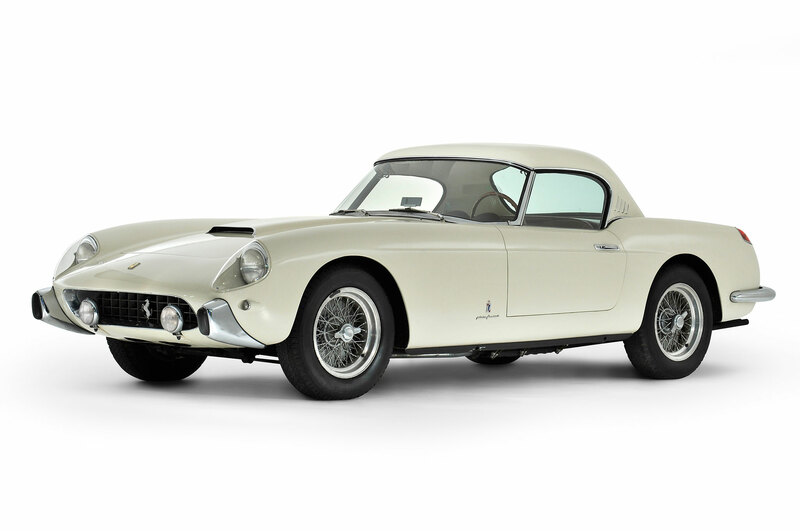 He established postwar supremacy of Italian design through his few Cisitalia sports-racing cars. 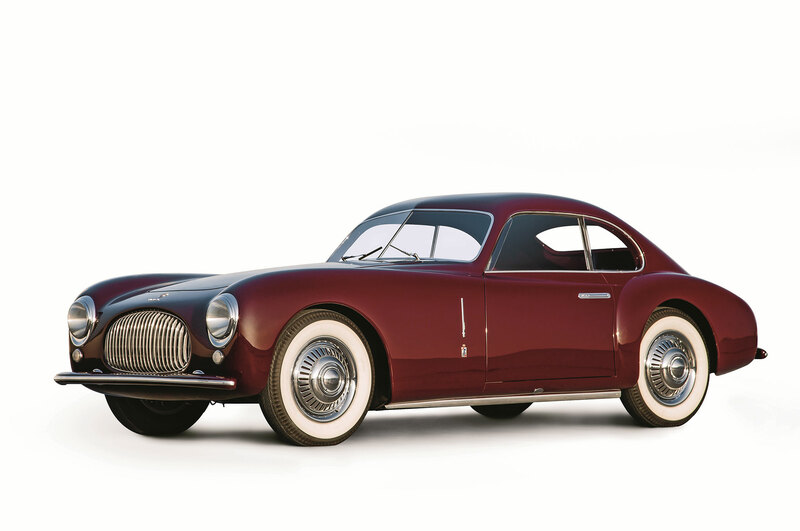 Those led to the Pininfarina Cisitalias, and his Ghia Supersonic series of coupes set a style for numerous derivatives, including the Volvo P1800 and the VW Karmann Ghia. 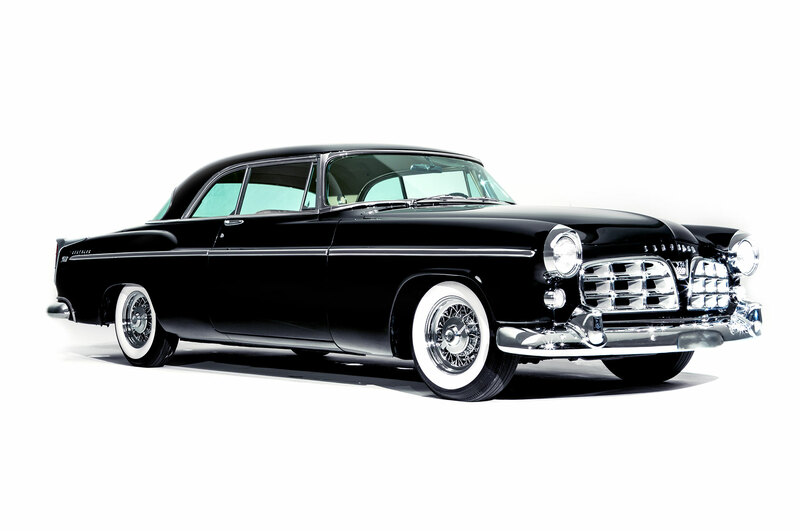 He did some of the most extreme show cars of the 1950s then essentially abandoned aesthetics to serve as chief engineer for Chrysler. After leaving Chrysler he returned to Italy and served as an engineering consultant to Fiat. Little known, he was undoubtedly one of the most important designers of all. Michelotti was enormously prolific, with 50-plus cars at the 1953 Torino motor show alone. He turned out custom Fiat 1100s by the dozen, and he also shaped some iconic Ferraris constructed by Vignale, along with production designs for BMW, BMC, Daihatsu, Daf, and Fiat. His Triumph Spitfire was enormously successful in combining British tradition with Italian flair in an inexpensive model. 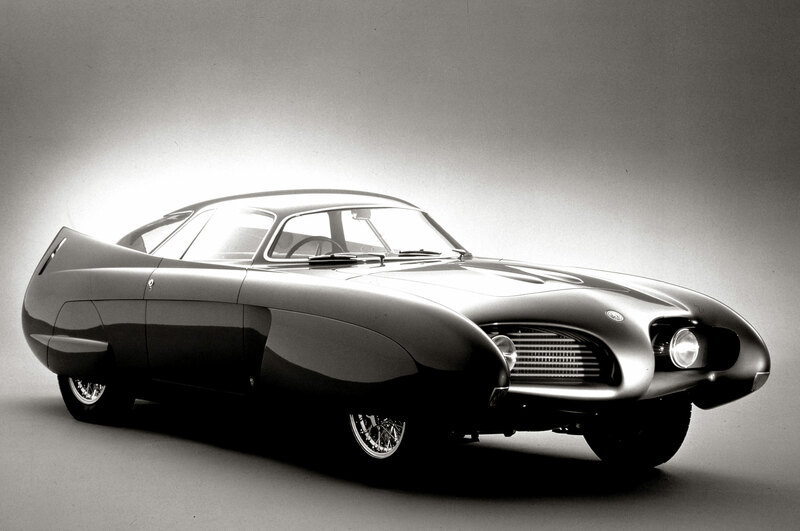 He was the first Italian designer to work for the nascent Japanese car industry. Battista Farina became so well-known by his nickname Pinin (“Shorty”) that the Italian government allowed him to change his family name to Pininfarina in the 1960s, and his descendants all carry it now. His creations were always elegantly restrained, expressing a classicism that has become the hallmark of the renowned design house. 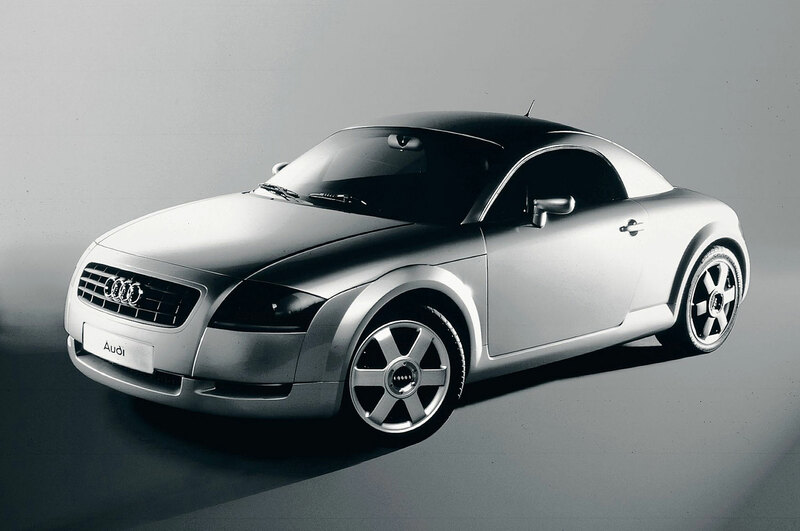 In the years leading up to his death, he turned his carrozzeria over to his son Sergio and son-in-law Renzo Carli, who expanded its production capabilities. Over the 84 years of its existence, Pininfarina has employed dozens of brilliant designers, and the firm he founded became one of the “magnetic poles” of the Italian school. 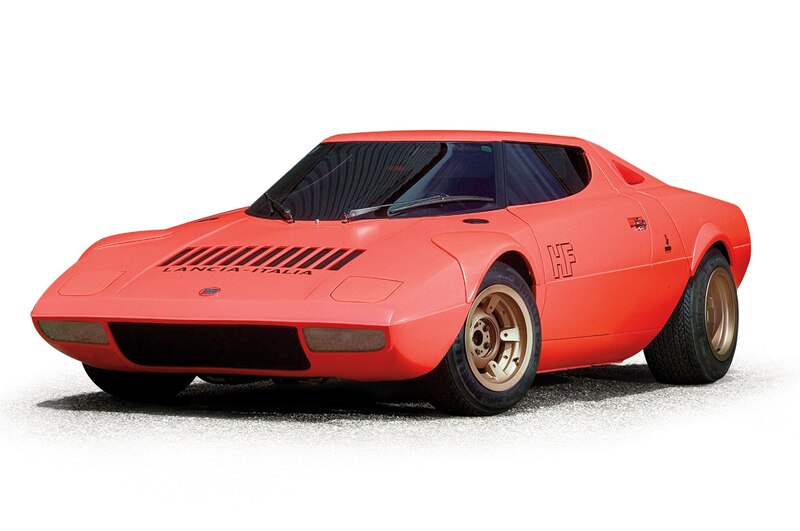 Bertone was the other pole of Italian design. It can be said that Nuccio Bertone was not really a designer, and in the sense that he never made sketches and renderings and full-size layouts, that’s true. 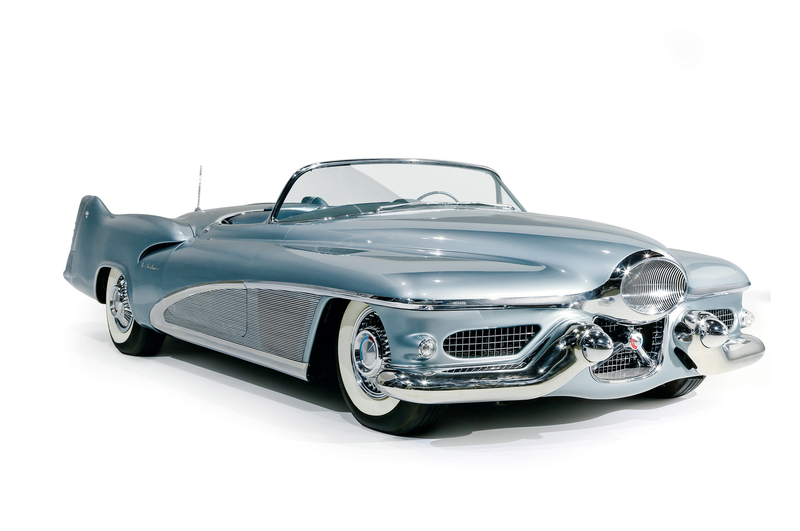 But, like America’s Harley Earl, he knew how to direct creative people to obtain the results he wanted to see. Bertone was very open about how he worked, and he allowed full credit to his designers, three of whom appear on this list. 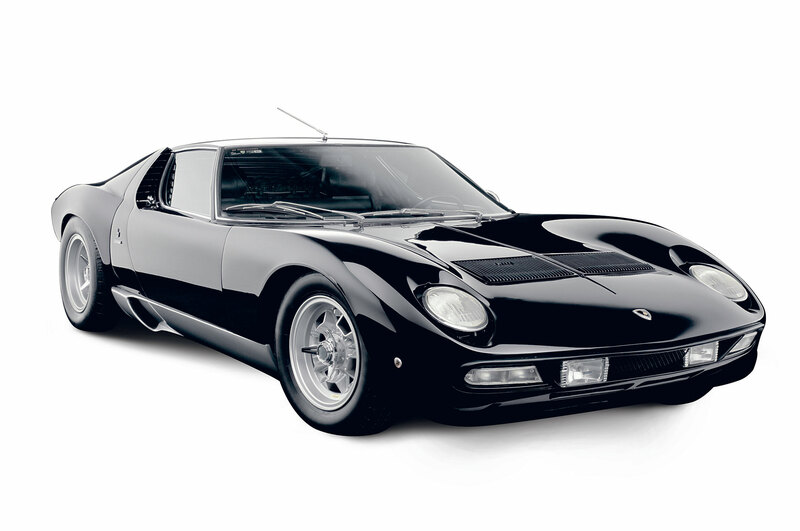 But in my view, the greats who worked for him all accomplished their greatest designs under Bertone’s tutelage. Their subsequent work after leaving Carrozzeria Bertone was wonderful but never quite as good as it was when Bertone was pushing, scolding, demanding—and getting—the absolute maximum of their capabilities. Scaglione was enormously influential but, like Savonuzzi, little appreciated historically. Bertone found his work habits too erratic and “artistic,” ultimately firing him when he discovered young Giugiaro. Scaglione was truly a master of instinctive aerodynamics; his 2.0-liter Alfa Romeo Sportiva coupes were as fast as the 3.0-liter Mercedes 300SL despite having only 138 hp. But he died in obscurity and is rarely mentioned today. “Lello” Gandini is an imaginative creator, having designed and engineered dwellings, helicopters, the production Lancia Stratos, and a great number of outstanding production cars for French, German, and Japanese manufacturers. He designed best-sellers for French rivals Citroën and Renault, award-winning trucks, and several ultra-simple, ultra-cheap “people’s car” proposals, none of which has yet been accepted for series production. After completing engineering studies, Leonardo Fioravanti joined Pininfarina at age 26. 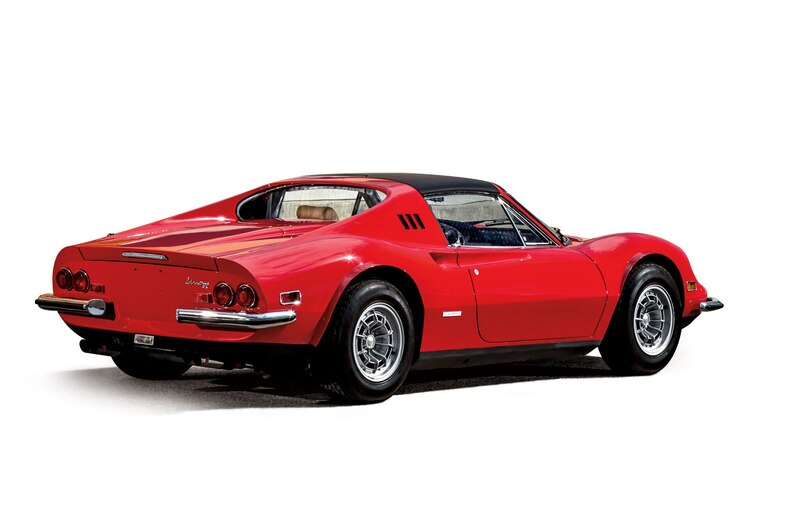 Staying for 24 years, he became design director and created some of the most iconic Ferraris, including the Daytona, Dino, Berlinetta Boxer, and the 308 GTB. He was alsoresponsible for production Peugeots, Lancias, Alfa Romeos, and numerous dramatic show cars. He has patented and licensed many of his inventions, including a pivoting convertible top used by the Ferrari 575 Superamerica and the Renault Wind. 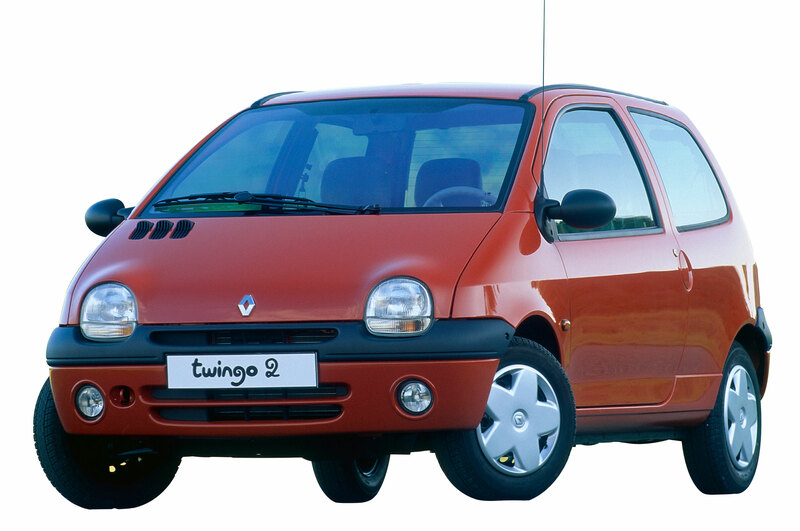 England is the home of the most extreme styling variations in the automotive world. 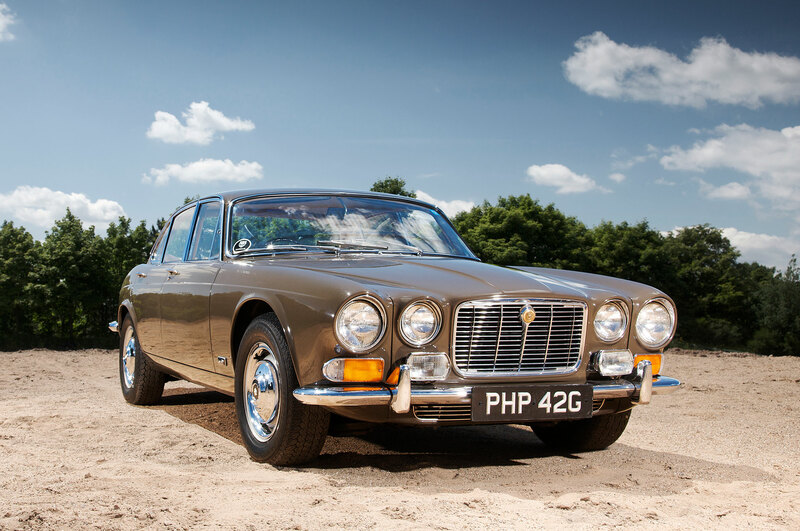 For every magnificent Jaguar XK-E hit, there are three or four equivalents to the Lea-Francis Lynx. For every Range Rover, there are dozens of Austin A-30 absurdities, taller than they are wide. Double-bubble fairings of headlamps lasted from 1968 into the 21st century. Lyons had an iron will, an iron fist, and a delicate aesthetic sensibility. That’s a hard-to-find mix of characteristics that served one Blackpool boy very well. Lyons worked essentially with a favored panel-beater who would make up full-size shapes in metal and put them together under Lyons’ direction. But the best Jaguar design ever, the E-type, was the work of aero­dynamicist Malcolm Sayer, who enjoyed Lyons’ complete support. 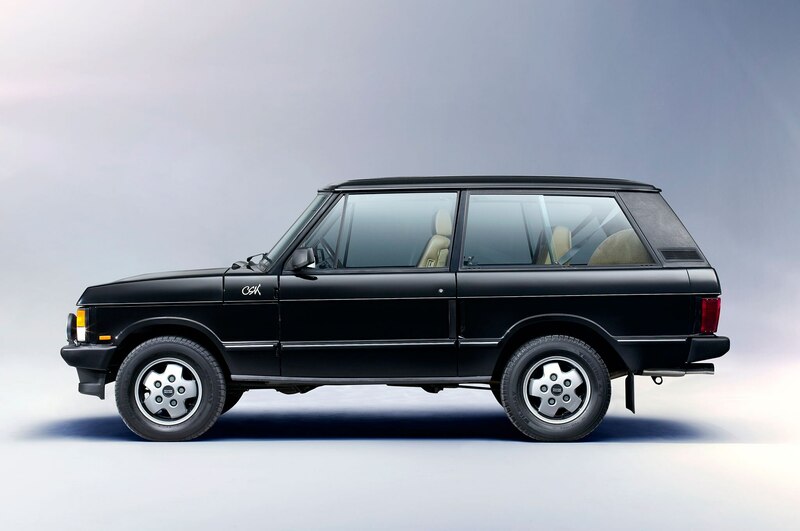 Bache cleaned up the exterior surfaces of Spencer King and Gordon Bashford’s mechanical concept for an elegant go-anywhere town-and-country SUV, the 1970 Range Rover. Embraced by royals and by working farmers alike, it remains one of the best-looking SUVs of all time. The Austro-Hungarian Empire produced many legendary engineers—Ferdinand Porsche and Hans Ledwinka among them—but just one world-class body designer, Austria’s own Erwin Komenda. Say what you will about the highly profitable truck and sedan maker that is Porsche today, the cars that made the firm’s reputation were all shaped by just one man. The company’s revisionist story line attributes the legendary 911 model, now in its 51st year of continuous production, to a grandson of the founder, equally legendary Ferdinand Porsche, but the iconic aerodynamic shapes of the first production Porsche road cars, the 356 series, and of the following 911s all came from the mind and hand of Komenda. 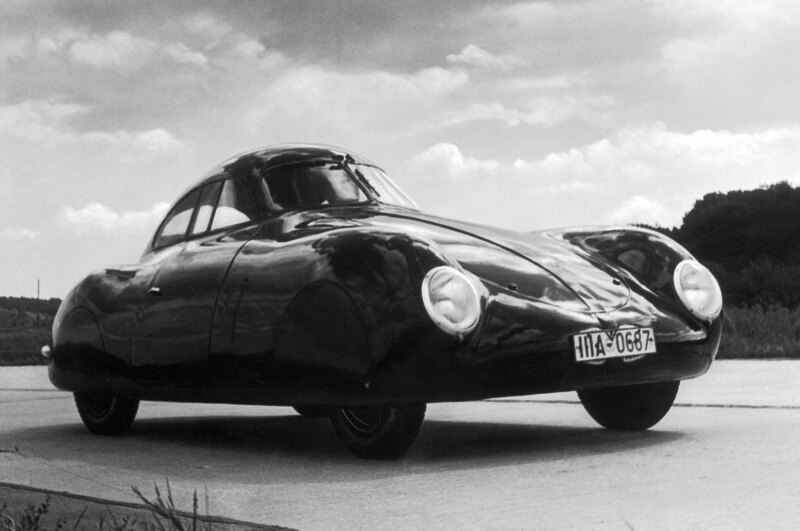 He showed us the first iteration of the classic Porsche shape back in 1938, with the Volkswagen Berlin-Rome racer. Two recently retired design leaders were powerful influences in the industry and mentors to many of the best designers practicing today. As a child, Sacco was enthralled by Germany’s Märklin electric trains. He decided early in his career, which began at Carrozzeria Ghia, that he wanted to work at Mercedes-Benz. Taken on by the venerable firm in the mid-1950s, he worked in research and engineering before taking over the design department. 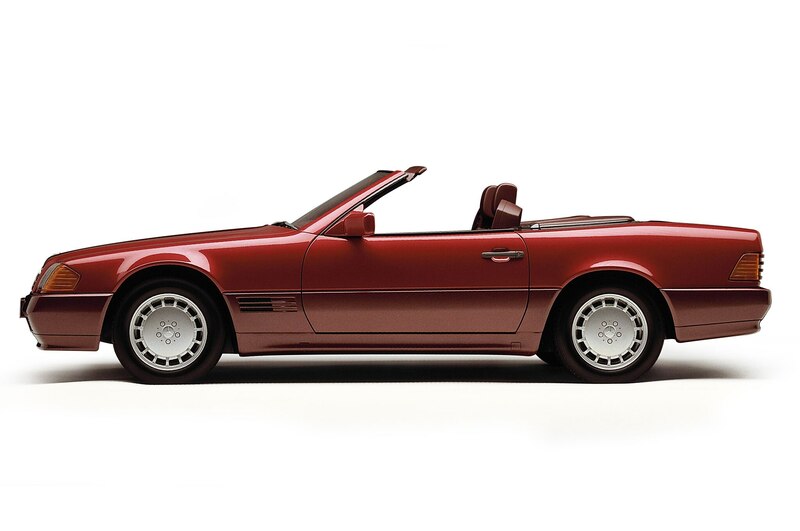 Considered by his peers as “the designer’s designer,” he oversaw the styling of all Mercedes-Benz production models, including the trucks that were the financial mainstay of the company. Like Earl, Pininfarina, and Bertone, he formed numerous highly successful designers who work all over the world today, including the current head of Porsche design. Le Quément made Renault, a stolid state-owned producer of “socialist ideal” popular cars, into a design force, the place where young designers wanted to be. He took in and trained designers from dozens of nations. Most French designers today have benefited, directly or indirectly, from his successful transformation of body shaping from engineering to design. Indeed, the design leaders of Peugeot, Citroën, and the new DS brand are all ex-Le Quément staffers. Modern designers enjoy less creative freedom than their predecessors. Blame crash regulations, focus groups, and a cutthroat business environment. But these names—not yet cast in stone—stand out. One way of looking at Freeman Thomas’ work is to say that he is the industry’s leading cartoonist. 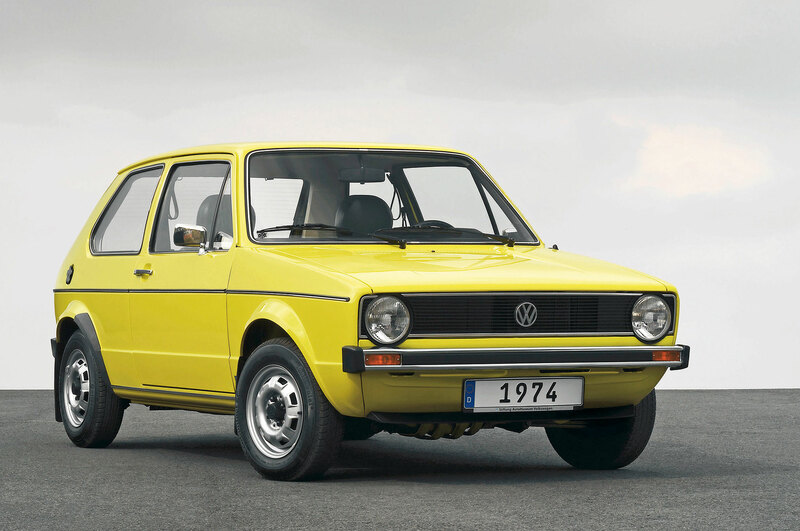 His tiny offhand sketches inspired the Audi TT, the VW New Beetle, and the Chrysler 300. Thomas’ first design job was at Porsche, a heady beginning for a young designer enamored of the brand. He has headed both the Chrysler Pacifica and the Ford Motor Company advanced design studio in his native California. Pires has spent his entire career in the VW Group. He is now head of advanced design for Audi, having previously designed the Bentley Continental and then leading Italdesign Giugiaro. 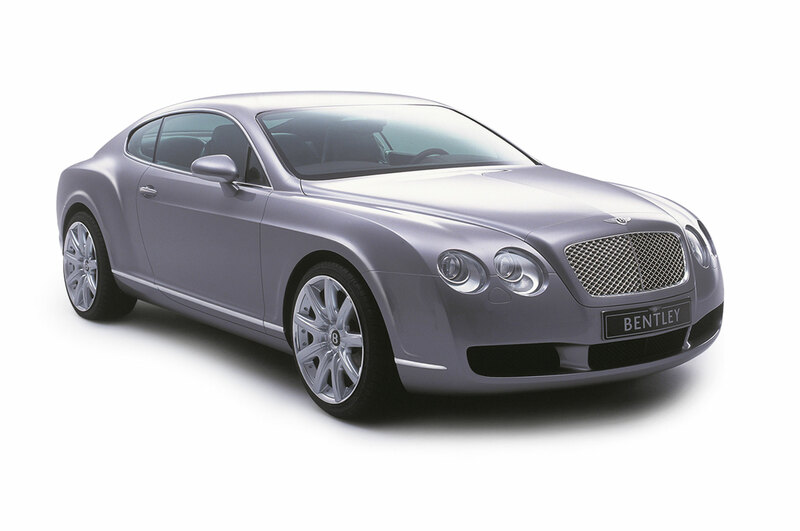 He began as an interior and exterior designer at Skoda, so he has worked in every price range, lowest to highest. And always successfully. 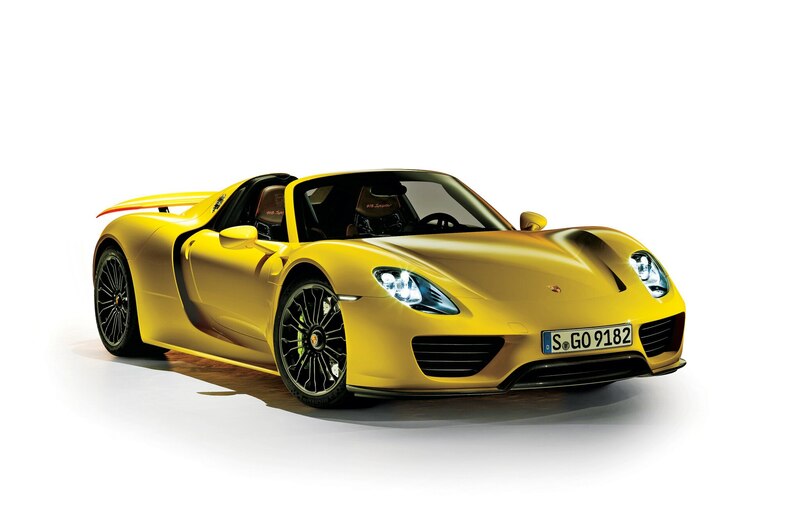 A completely new design that respects all previous Porsche racing and sports cars from Komenda onward. Excellent work. Starting in 1995 with Mercedes-Benz in Stuttgart, Mauer ran its advanced design studio in Japan in 1998, moved to Saab as executive design director, then moved to Porsche in 2004 as chief designer, where he’s responsible for the 918 hybrid and the latest (and the next) iteration of the 911 theme. Head-hunted personally by Elon Musk, Franz von Holzhausen has the kind of support from the top that Harley Earl enjoyed 80 years earlier. 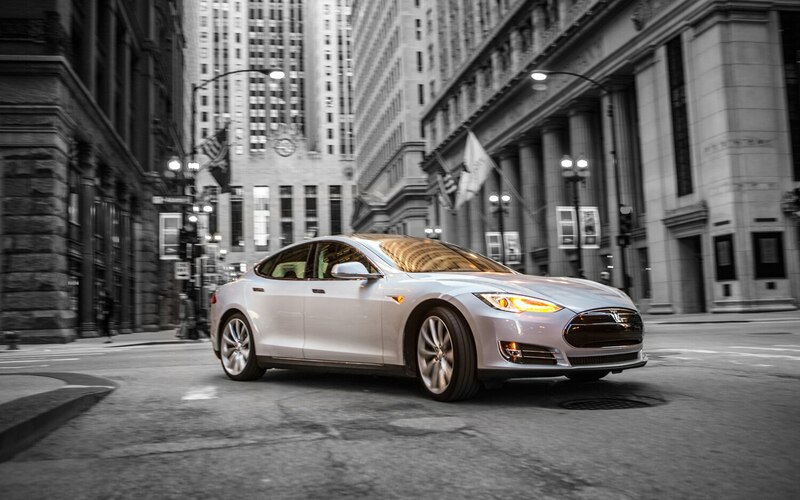 Will Tesla become a real volume player in the car business? If so, von Holzhausen is perfectly placed to become one of the key designers of the next quarter century.